Since we have years of knowledge, our organization has arisen as foremost suppliers of WB-2101 Bucket Hat We have our own storage unit wherein we keep a large stock for meeting urgent and massive requirements of the clients. Laced with modern amenities, this unit keeps the lot free from the damaging factors. 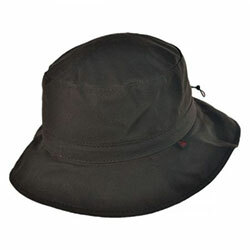 WB-2101 Bucket Hat has a soft fabric lining with fine stitching and a long service life.